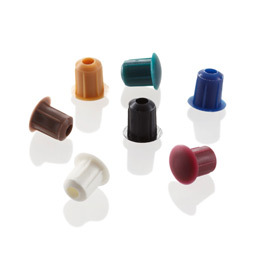 HOLE-CAPS hole plugs conceal unsightly 3/16" and 5mm holes in shelves, furniture, kitchen cabinets, entertainment centers, vinyl fencing and elsewhere. Made from UV stabilized plastic (suitable for indoor and outdoor use). Several colors available.